Researchers have solved century-old mystery of why lone kidneys grow larger when the one other is lost. 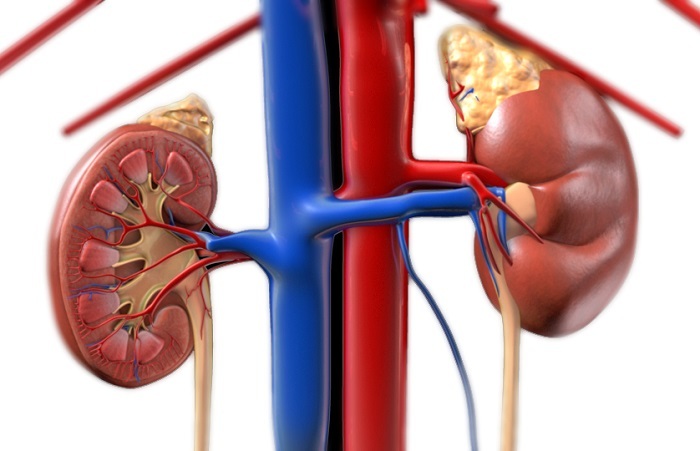 Researchers from Georgia Regents University, Vanderbilt University, Texas A&M University, and Northwestern University have found an explanation for the century-old observation that if a person ends up with just one kidney, the lone organ gets bigger. When a single kidney is removed because of injury or for transplantation, the remaining kidney can rapidly get 50 to 60 percent bigger, an apparent physiological attempt to expand its capacity. Now, the team have shown that the increased blood flow to the kidney that results from going from two to one also delivers significantly more of the protein-building amino acids, which trigger the growth. The researchers state that it makes sense that the kidney gets bigger, however they wanted to investigate how the remaining kidney knows the other kidney is gone. They hypothesized that there must be a signal this remaining kidney has sensed and wanted to know how this signal get transmitted to make the cells forming the kidney’s nephrons (filtering units) get bigger. The team state that humans have on average about 1 million nephrons, or filtering units, in their kidneys. Each nephron has a renal proximal tubule that retrieves desirables the nephron filters from the blood, such as amino acids, sodium, and glucose. The proximal tubules then put these desirables back into the general circulation and direct waste products toward the bladder for elimination in the urine. A single kidney can result from a developmental problem, or injury, being a kidney transplant donor or recipient. Even in humans with two kidneys, if disease reduces the number of functioning nephrons, the residual functioning nephrons will also grow bigger. The team surmise that amino acids come from the proteins the person consumes, enabling them to make proteins so they can build muscles, bones, and other key tissues. Proteins in living cells are constantly being synthesized, and each protein has a lifespan. So the body is in constant need of protein synthesis and degradation, they say. In previous studies the team have shown that activation of a protein called mTOR is a major player in the hypertrophy of the lone kidney. However, the growth signal that activated mTOR, which forms two distinct multiprotein complexes known as mTOR complex 1, or mTORC1, and mTORC2 in cells, was still unknown. The current study found that in mice, the increased availability of amino acids prompts increased activation of mTORC1. The researchers explain that for a cell to grow bigger, it has to have increased protein synthesis, which is regulated by mTORC1. In the kidneys, mTORC1 more typically functions at a level that maintains the healthy status quo, with the team calling it both a master regulator of protein synthesis and cell growth and a nutrient sensor. The data findings showed that when one kidney is lost, mTORC1 senses more amino acids coming to the remaining kidney, which it takes as a cue through its upstream messenger enzyme called class III phosphatidylinositol 3-kinase, or PI3K, to make more protein. Much like shunting traffic, when the researchers tied off one kidney in a mouse, blood flow to the remaining kidney increased immediately, as did amino acid availability and mTORC1 activation. Within a day, kidney size had increased a detectable amount. Follow up studies indicate growth typically plateaus at a 50 to 60 percent increase within about three months. It’s a usual occurrence for mTORC2 to activate mTORC1. But, when scientists also removed a kidney from the PTEN knockout, mTORC1 did not need its sibling to become activated. What mTORC1 did need was the enzyme, class III PI3K, to become active. This is true as well, in their other model, in which a kidney was removed but PTEN wasn’t. Without Pten, both kidneys got larger. When the team gave the mice rapamycin, which inhibits mTORC1, both kidneys got smaller. Now the researchers want to know more about why the hypertrophy appears to reach a certain point and stop and whether the greatly increased girth many kidneys experience is ultimately bad for kidney function, as they suspect. By learning more about growth triggers, they hope to one day be able to intervene to limit the response and help ensure the lone kidney continues to function well. All Rights Reserved @ Barbara Brehovsky.